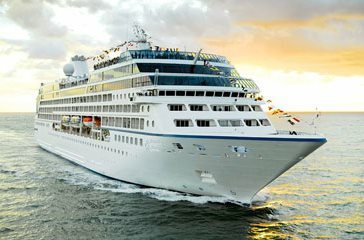 Elegant sister ship to charming Regatta, Insignia, and Nautica, Oceania Cruises' newest addition, Sirena embodies the most treasured elements of our celebrated fleet, and features a few highlights all her own. With the introduction of two fresh culinary experiences, Sirena offers even more ways to savor The Finest Cuisine at Sea™. Tuscan Steak, a brand new specialty restaurant, serves Italian favorites, succulent steaks and fresh seafood inspired by Toscana and Polo Grill. The Grand Dining Room offers a surprise transformation into Jacques Bistro during lunch, which serves classic French fare. Also featuring the beloved restaurant Red Ginger, Sirena invites you to enjoy bold Asian cuisine in a fresh new way.